The Redskins are at home Sunday to play host to a Bengals team that got on track last week with a seven-point win over the Browns. The Skins are 1-1 after a disheartening loss in St.Louis. Robert Griffin III will have plenty of drool over as he watches film of the Bengals D. Last week vs the Browns, the Bengals were outgained 439-375 in total offense. This game could easily turn into a wild west shootout, with RGII and Bengals QB Andy Dalton each having big afternoons. Last week vs the Browns, Dalton threw for 318 yards and a career best-tying three touchdowns. The Bengals D has allowed an average of 434.5 yards to rank 30th in the league. This from a team that last season have up 316.3 yards per game. The club is still trying to get use to not having Thomas Howard. last season’s leading tackler. Washington has their own issues on D, as two-time Pro Bowl linebacker Brian Orakpo and defensive end Adam Carriker both landed on injured reserve this past week. Orakpo tore the pectoral muscle near his left shoulder during last Sunday’s 31-28 loss at St. Louis, while Carriker tore the quad tendon in his right knee. Washington, which gave up 452 yards to the Rams, will use Rob Jackson and Chris Wilson to try and fill Orakpo’s void. Jarvis Jenkins likely will start in place of Carriker. At the end of the day, on paper on it looks like on the field the offenses have big advantages over the defenses in this one. It’s going to be a madhouse for RGIII’s debut, and I think his legs make a huge difference in taking the Redskins home to a win. 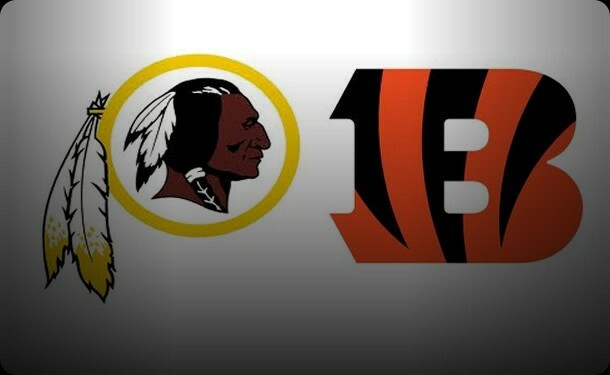 Who Wins the Bengals at Redskins Week Three Battle?